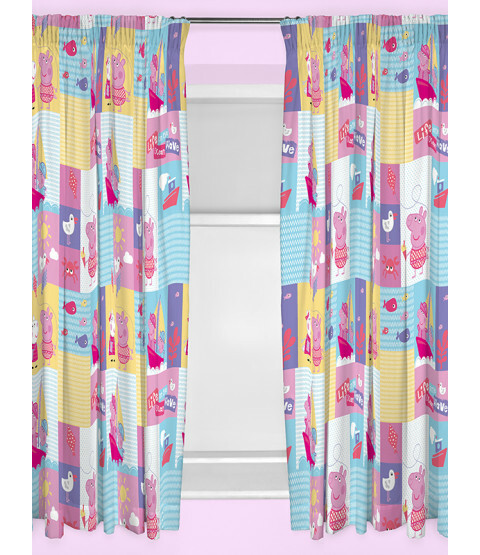 These Peppa Pig Nautical curtains make the perfect addition to any Peppa themed bedroom. 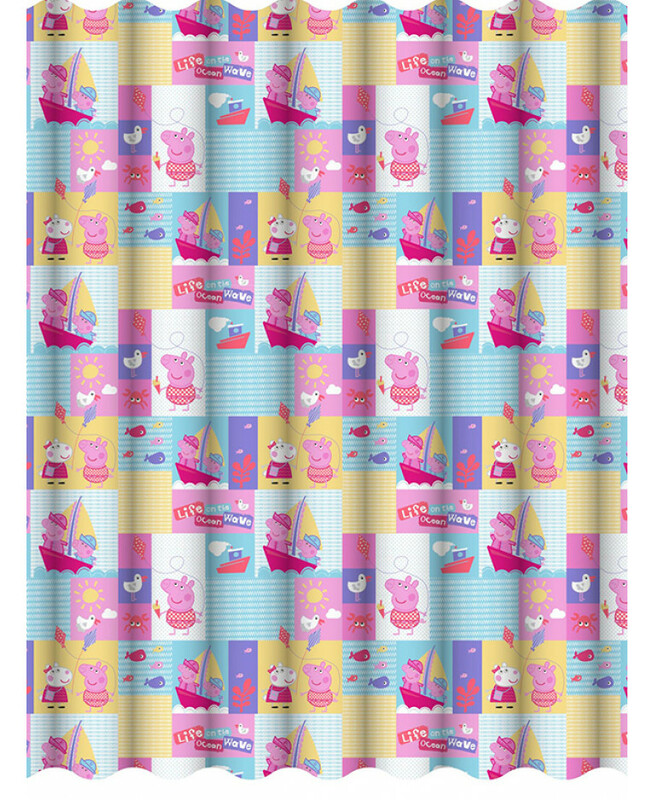 The design features a patchwork style collage of seaside themed images in pink, yellow and blue featuring Peppa, George and Suzy Sheep. 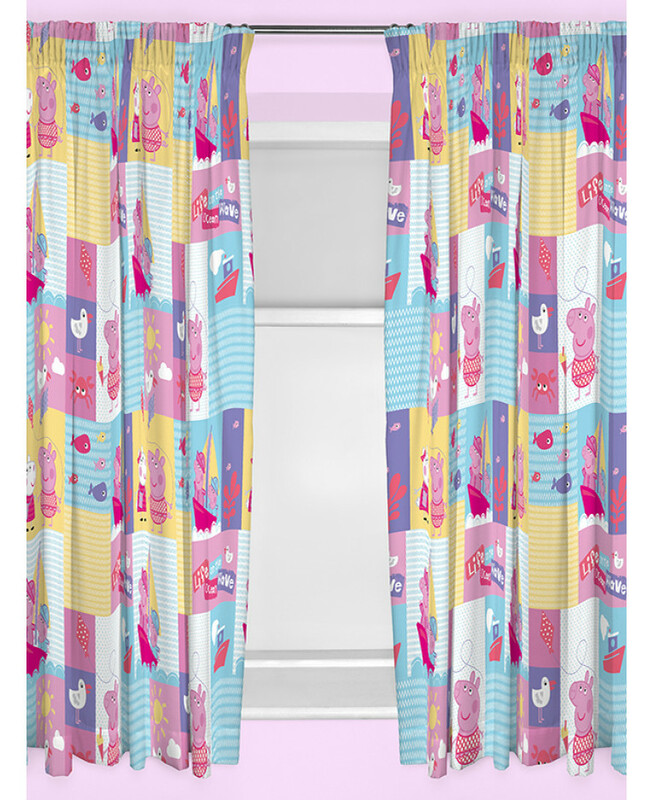 Each curtain has a pencil pleat fitting making them easy to attach to any curtain rail or pole. The curtains can be machine washed and tumble dried on a low setting.